I am absurdly late on this, but it's been over a year since I completed all the reviews I wanted to write for a given season, and I promised myself that I would finish this! 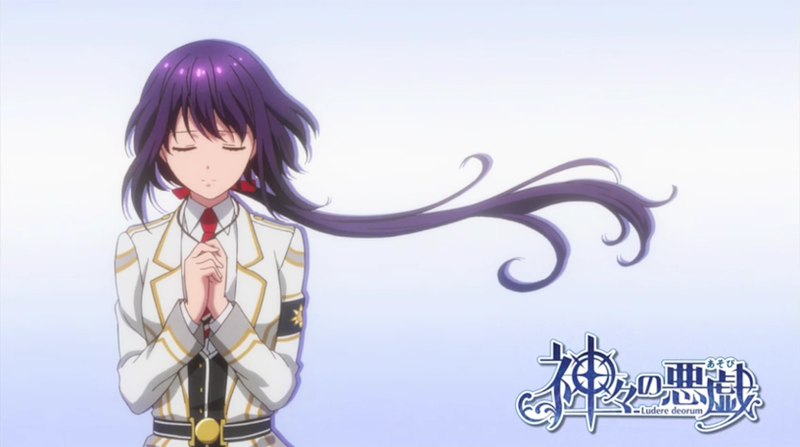 These are the last two shows that I completed in the Spring 2014 season: Kamigama no Asobi and Chaika the Coffin Princess! Brain's Base finally did it. They finally made a reverse harem adaptation that didn't make me want to pull out my hair or run screaming in the opposite direction. Hopefully this means that the studio is done adapting series that romanticize abuse, because this reverse harem felt like a breath of fresh air. Perhaps that's because the show never takes itself too seriously. 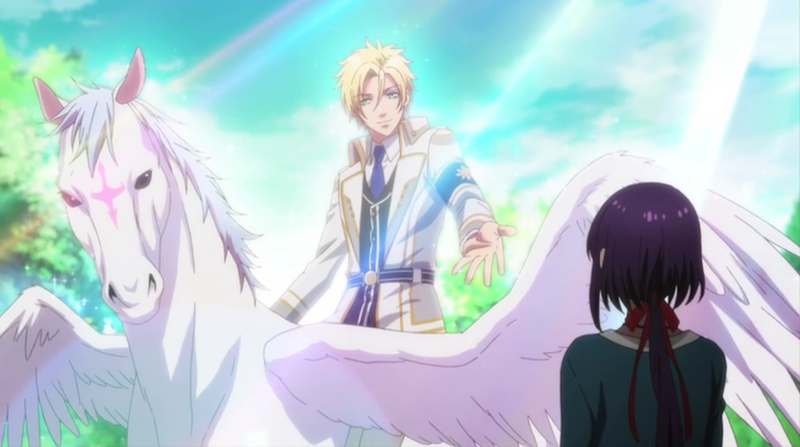 The first episode is filled with random flower backdrops, magical boy transformations, and even a unicorn. The rest of the series is not much different--although it does make you wait for a while before the magical boy transformations reappear. 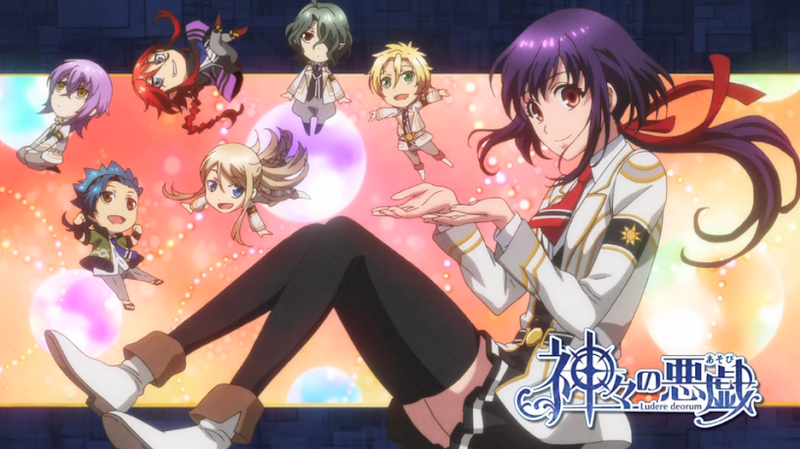 The basic premise--main character Kusanagi Yui has to teach the gods about humanity so that they all can graduate from Zeus' school and return home--is used more as an excuse for silliness than anything else. For instance, the stereotypical school play episode features crossdressing and significant misunderstandings about the meaning of an on-stage kiss. In a way, it reminds me of UtaPri with how the show has a sense of fun about everything, even the melodramatic bits when each character gets their expected focus episode. It embraces its silliness and runs with it, which makes it very entertaining to watch. That said, the finale deserves praise for creating a genuine conflict that the show had been leading up to all along--I just hadn't noticed the hints while laughing at the character's antics. It's also the first harem series I've seen in a while that convincingly pulled off a general ending where the heroine didn't "pick" anyone in particular (although I have to say that I'm surprised that Apollo didn't end up as the Main Guy). There were moments where it was very obvious that things were being included just because they were in the game--the show never gave any context for that talking plushie, for instance--but it was still able to deliver something fun and also tie up its loose ends for a satisfying conclusion, so I'm not bothered by that at all. 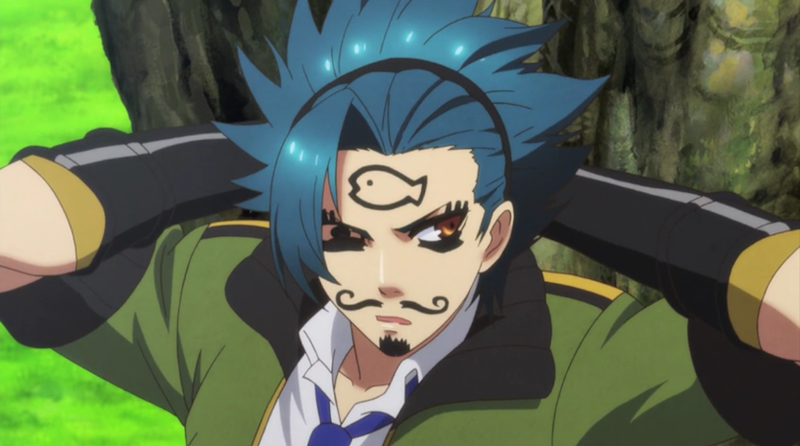 You can probably tell just by the screencaps whether or not this is a show you'll like, but I think that if you have any interest in it at all, it's worth the watch. I highly recommend it to my fellow reverse harem anime fans who were also disappointed in Brain's Base's adaptation choices but still like fun entertainment with a smattering of plot. 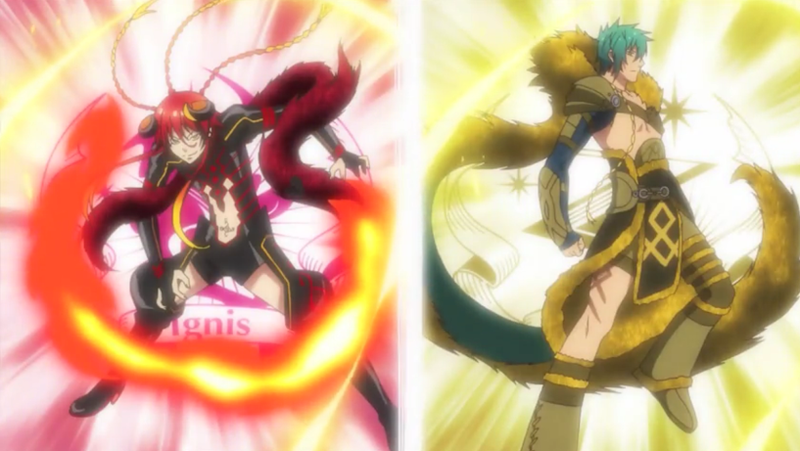 Can magical boy transformations be more common now? Please? I didn't pick up this show until close to the end of the season because of all the buzz that I'd heard about it and decided to see if it lived up to any of it. 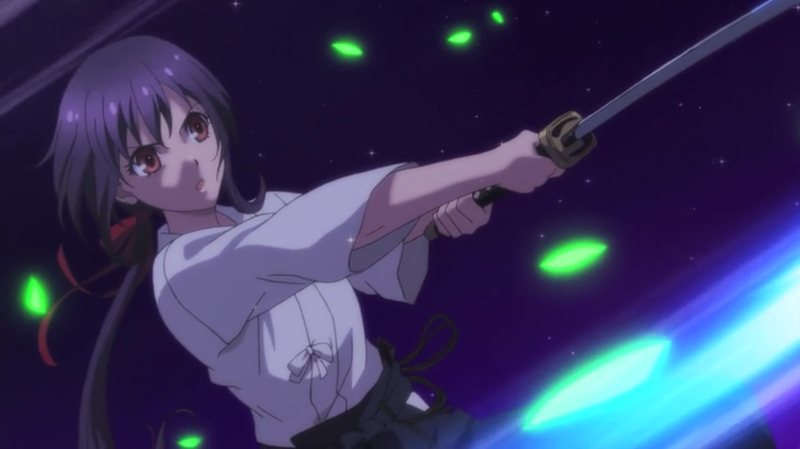 I'd written it off initially because the promo images and the premise sounded like a generic fantasy anime. Those of us who've been around the seasonal anime block a few times know the drill: most cool-sounding anime premises tend to collapse into harem antics, and even if they don't, the writing tends to default to cliches rather than explore the new world the story created (*cough*). With that in mind, I was pleasantly surprised when it turned out that Chaika is about as anime as it gets, yet the writing and the characters deliver on everything the show promises. Honestly, it made me a bit more hopeful for future fantasy light novel adaptations, and believe me, that is a sentence that I never thought that I would write. The story follows a soldier named Tooru who runs into a mage in the forest who refers to herself in the third person as Chaika. 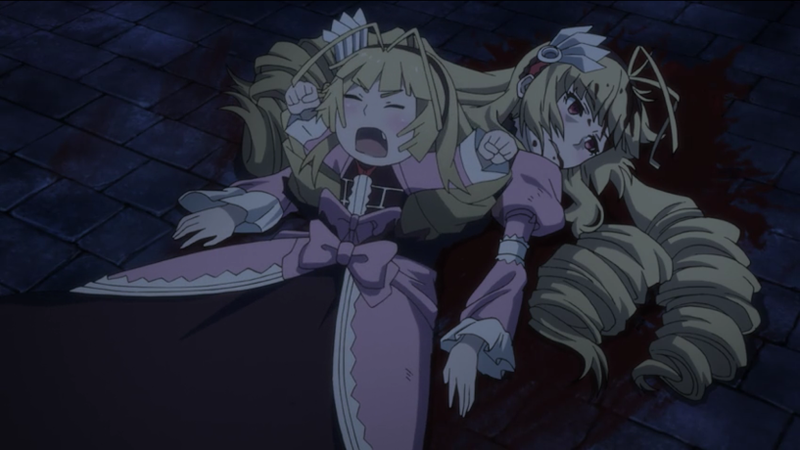 It's revealed the Chaika is the daughter of an evil king who was defeated in a war twenty years ago, and that she's on a journey to collect the pieces of his body and give him a proper burial. However, these pieces are also powerful magic objects that have been given to the warriors who defeated him for safekeeping, and they're not willing to give them up. 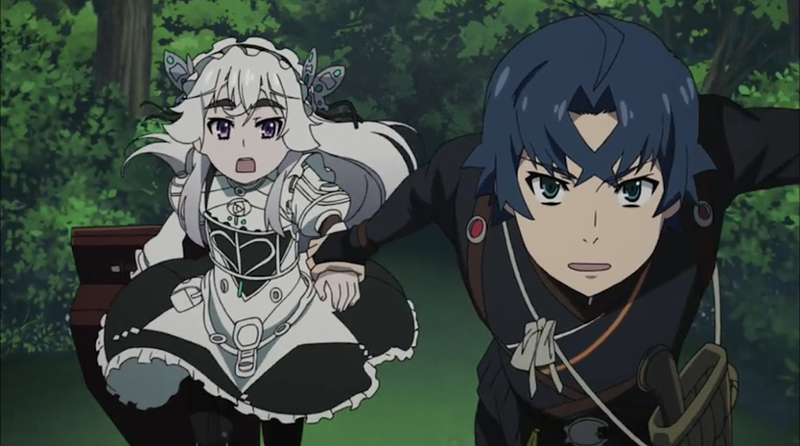 Tooru and his sister Akari enter a contract with Chaika to help her on this quest, but as they travel through the land they learn that their quest is far more complicated than just defeating the heroes, and that Chaika might not even be who she thinks she is. Most anime fans are probably able to spot at least several cliches in that synopsis right off the bat, and as I stated above, this is the kind of show that can only exist as an anime. 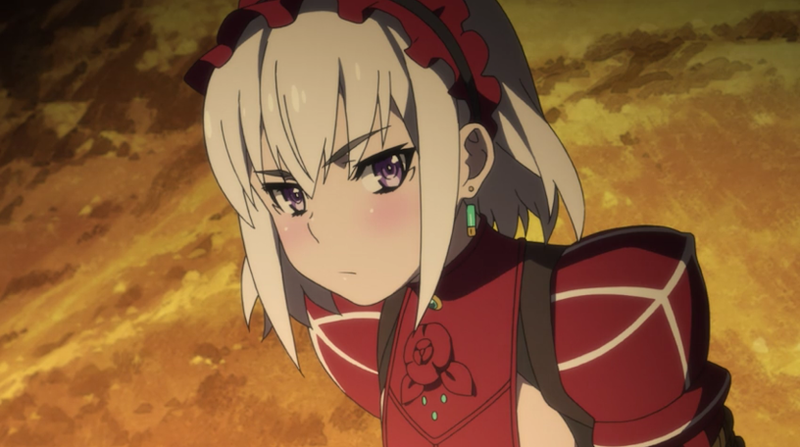 However, instead of going down the expected path, Chaika lampshades it instead, treating its world, rules, and magic with a level of honesty and consistency that lets the characters have organic reactions and growth within the plot. By the end of this season, I was genuinely invested in everything that was going on despite having seen all of these tropes dozens of times before. For example, one of my favorite characters was the dragon Fredrica, who takes on the appearance of a girl in a frilly dress after being defeated by Tooru and insists on following him so that they can fight again someday. In a different show, she probably would've been treated like a secondary love interest for Tooru from there on out, but the show makes a point in having Fredrica still act like a dragon. She's not here to be a fantasy monster girl waifu; it's obvious that this is a temporary form for her, and she's still very dangerous. Her personality, true form, and place within the wider world of the story isn't negated once her episode is over, and she acts based off of those past experiences. This is true for the rest of the show and its characters as well. It's really nice to see an anime recognize the tropes that the audience is watching it for without shooting its story and character development in the foot at the same time. In summary, if you ever watched a fantasy anime and thought to yourself "I would like this exact story and characters, but with writing that is actually good," please watch Chaika. It deserves the attention and praise for breathing new life into some overdone anime tropes, and proves that it's not the cliche, it's the execution. The second season is supposed to come out next season and finish up the story, and I'm excited to see how the bigger mysteries will play out. And thank you! I found it on a free wallpaper site and thought it fit pretty well. Kamigami: Brains Base has announced a game sequel,Kamigami Infinite, for 2015. 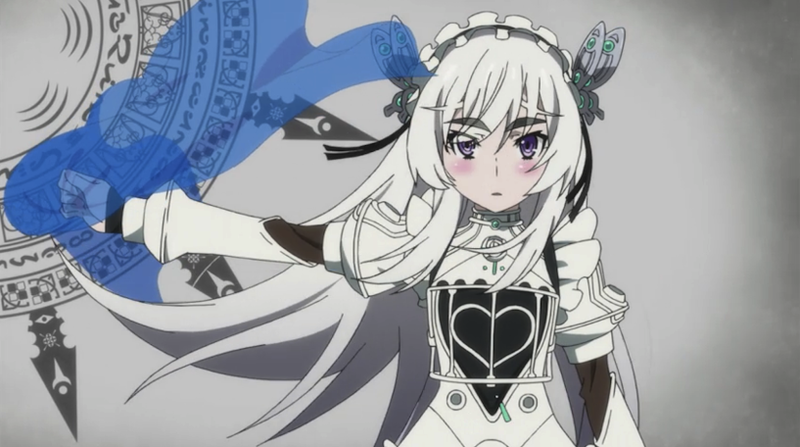 Chaika: Chaika's characters are named after various European car models/manufacturers (ex. Chaika is named after the Soviet-era luxury car model of the same name). This naming tactic was used by Chaika's author, Sakaki Ichirou, in his previous work, Scrapped Princess (names were based on guns/gun makers there). The author has also confirmed the anime will have a definite ending. The final LN volume will be released after the anime ends. I could've sworn I saw it on Hulu once... But then again, there are so many anime titles with 'Princess' in the title, I might've gotten it confused with something else... But yes, that's one to keep in mind once this series is over. 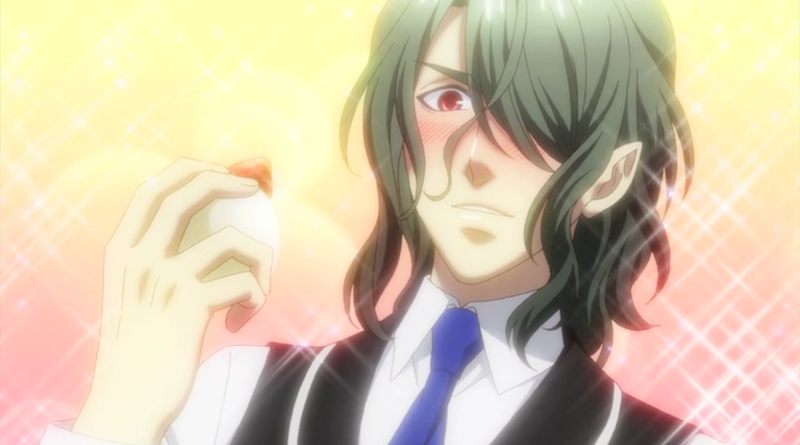 Kamigami: YESSSSS I hope that this means another adaptation! 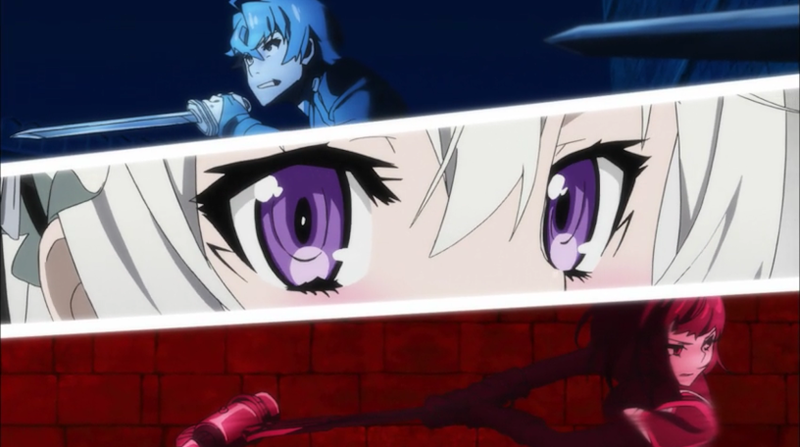 Chaika: Huh, I didn't know that. I'd just assumed that everybody had pseudo-fantasy names. That makes it a lot more interesting! AFAIK that was a Bandai title that hasn't been license rescued yet but I could've missed Funi or Sentai picking it up, too lazy to check for sure (and I've trolled through nearly all the anime on Hulu, I got bored once okay, and didn't add it to my list then).